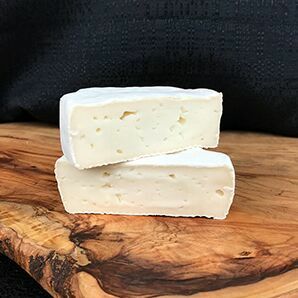 When Laura Chenel began making chevre in Sebastopol in the late 1970s, Americans were still largely unfamiliar with goat cheese. But soon, Chenel’s chevre won a spot on the menu at Berkeley’s Chez Panisse, and before long, her pioneering cheese business took off. In 2006, Chenel sold her company to a French outfit that continues her dedication to producing top-quality fresh and aged goat cheeses that reflect Sonoma County terroir. The company continues to work with 16 family dairies in California and Nevada. 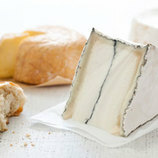 With its bloomy white rind and creamy -- sometimes oozy -- paste, Goat Brie is as pleasing to the eye as it is to the palate. These petite wheels offer flavors of grass and nuts that gradually intesify with age, and are balanced by hints of lemon and a clean finish. 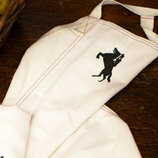 A natural for the cheese plate, Goat Brie is also delicious melted onto a burger or sandwich.